The United States tops this year’s ranking from Portland, displacing the UK. Obama’s diplomacy with Cuba and Iran helped, while the coming election and problems like gun violence are potential downsides. It’s a reminder, though, that the country’s values still shine brightly. 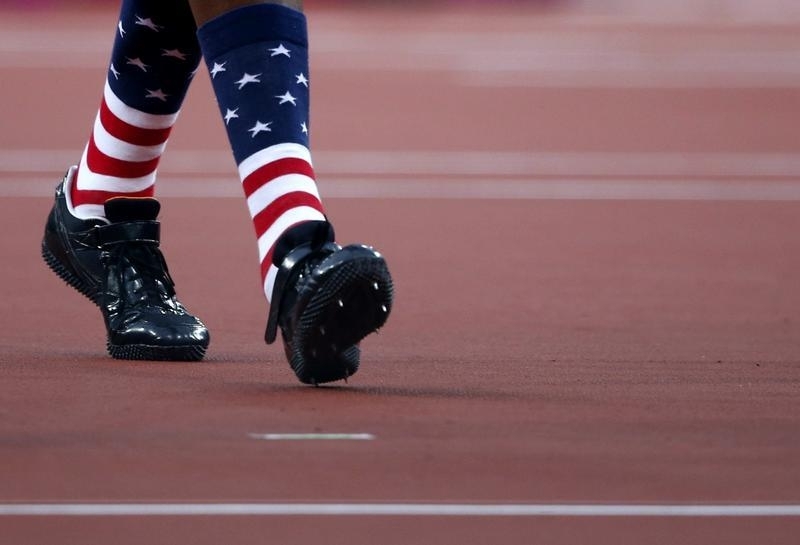 The socks of Jesse Williams of the U.S. at the Olympic Stadium August 7, 2012. Communications firm Portland on June 14 published its second annual ranking of countries by soft power, defined as the ability to achieve objectives through attraction and persuasion. The United States rose to the top position from third last year, knocking the UK into second place and Germany into third.